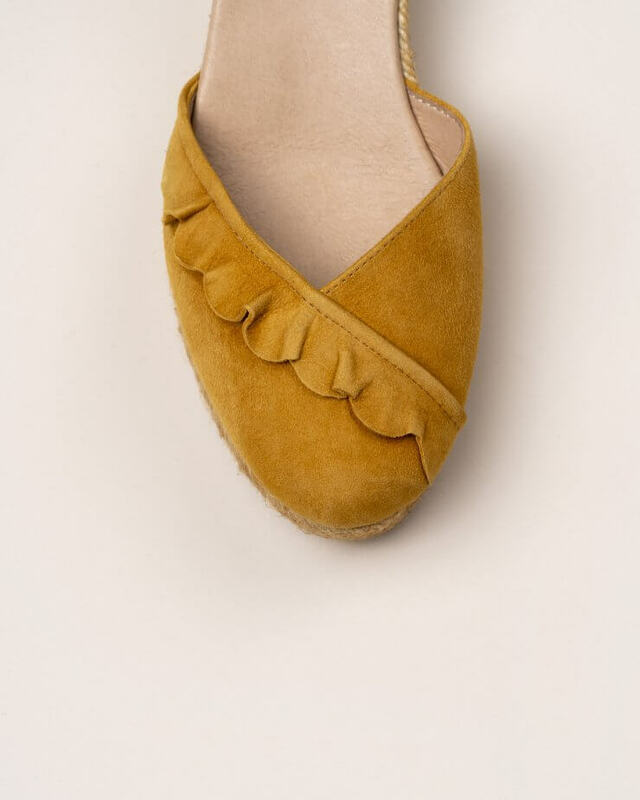 Yellow mustard suede espadrilles. Wavy detail across the top and at heel. Strap closure with clasp at ankle. 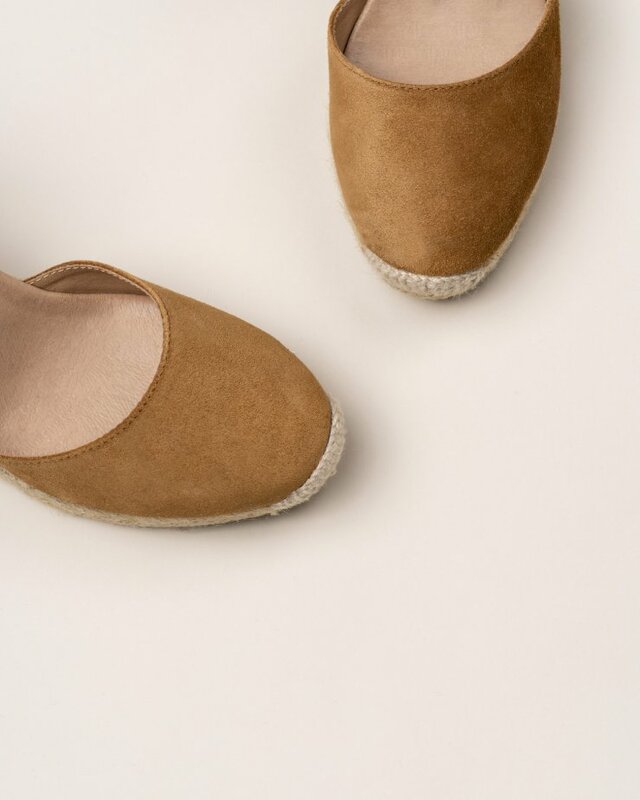 Medium jute wedge.